There are some repeatable, proven, systems to help you increase your wealth. There are also many foul scams promising you’ll get as rich as Scrooge McDuck — and it’s crazy how many people still fall into get-rich-quick traps even though there’s mountains of evidence that shows that they’re total scams. Take multi-level marketing (MLM) businesses for example. I hate MLMs. So. Freaking. MUCH. But despite all of the negative media attention, the government crackdowns, and the fact that you’re expected to spend an average of $25,000 of your own money to sustain this “career,” MLMs still managed to pull in more than $36 billion in 2015 alone. This is an industry filled with fraud and broken promises — one in which you can reasonably expect to not only be swindled but hired to swindle others too! Win the lottery. It’s common knowledge that we all have a better chance of being hit by a meteorite or struck by lightning than paying for a Tesla with an oversized Powerball check. Become Instagram famous. At the risk of sounding like a crotchety old man, I remember a time when kids weren’t betting their futures on getting paid for their bad selfies. Become a pro athlete. Please don’t count on this. Not only are the odds of becoming a pro-athlete incredibly small, but it also requires a lifetime of practice, iteration, and dedication to improvement. Also, who actually likes sports? The fact is if there were truly one great way of getting-rich-quick, we’d all be doing it. There are no “secrets” to getting rich overnight. But there are proven systems to get rich — and they take time. However, I promise that if you take any of these 4 steps, you’re setting yourself up for long-term success. Do all 4 and you’re almost guaranteed to get rich. This isn’t BS. There’s more than 100 years of evidence in the stock market that suggests this. Still don’t believe me? Let’s look at a real world example of how to become rich by investing. Notice, I’m not talking about the Hollywood type of investing where hot-shot stockbrokers make huge multi-million dollar trades while yelling “SELL” into a phone for some reason. Pictured: Some dude trading stocks and losing money. Not pictured: You investing in low-cost index funds and getting on with your life. Note: If $500/month sounds like a lot, read all the ways you can free up that money with just a few phone calls. Anyone who knows me knows that I detest ultra-frugality — otherwise known as the lifestyle of clipping coupons and sacrificing things like lattes for the sake of saving money. Unlike a lot of people you see in the personal finance world, I’m not ashamed of how I spend lots of money on things I enjoy like eating out, traveling, or nice clothes. And that’s all because I practice conscious spending. It’s the same system my friend uses in order to spend more than $21,000 on going out. I’d never tell you to skip on spending on the things that make you happiest. Just do so purposefully, and by avoiding the mindless spending that can come from disorganized finances. Because as humans we have incredibly limited willpower. It’s so limited in fact that it can render things like paying bills and putting money away in your savings each month a very difficult task. Automating your finances subverts this by allowing you to save money without ever having to do it yourself. Bonus: If you’re new to investing, this might be all Greek to you — which is why I wrote a huge, free guide on personal finance that goes into even more detail on the strategies described here. I’m not talking about piles of cash buried somewhere in your backyard — this is the money that you can be saving right now by negotiating your bills. Along with your bills, you can also be EARNING more money through salary negotiation. This is actually one of the easiest and fastest way to earn more money. In fact, a one-time salary increase of $5,000 — properly invested — adds up to over $1,300,000 by the time you retire. 1-time salary increase of $5000 invested and compounded after 40 years: 1,398,905.20! And in many cases, getting a raise only takes a single, 15-minute conversation with your boss. Remember the chart from above showing the effect of $500/month? You can meet this goal with ONE salary negotiation. If you’re interested in learning how to boost your income for life, check out my Ultimate Guide to Salary Negotiation (it’s free). It includes HD videos, word-for-word negotiation scripts, and walks you through each step in the process of getting a raise. My favorite part: You’re already getting paid. Why not get the most out of every paycheck? It’s a quick win, and you should absolutely capitalize on it. But if you’re looking for something that takes a bit more time — with a lot more upside — you should consider starting a business of your own. 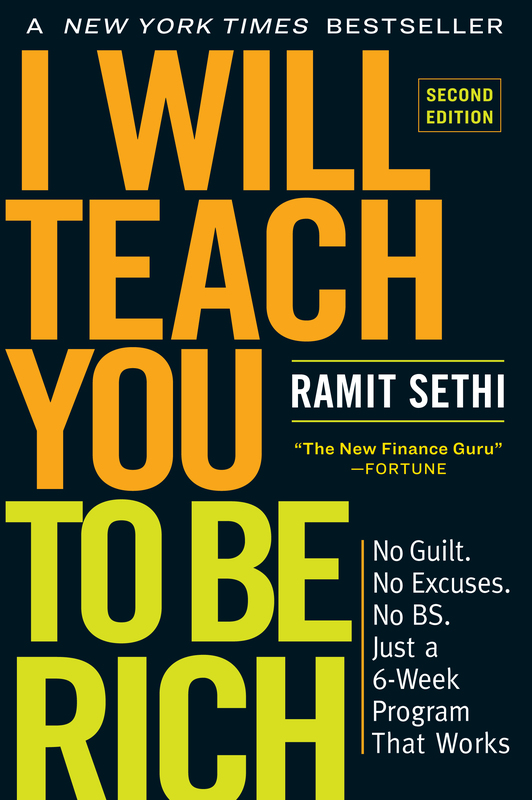 This is my all-time favorite answer to the question “how to become rich?” I’ve always believed that there’s a limit to how much money you can save — but no limit to how much you can earn. This is especially true if you start your own online business. Turn the skills you already have into a side hustle. Start an online business and reach millions of people all over the world. This is one of the fastest ways to get started in business. By utilizing the skills and talents at your disposal, you can start freelancing and generating a steady source of income on the side. If you choose this option, you can quietly earn an extra thousand dollars a month on the side, like these students did. And the best part: you don’t even have to quit the job you already have. With an online business, you can reach millions of people on the internet every day while scaling your product to help you earn millions online. Don’t believe me? Check out just a few different ways you can make $1 million online. Could you find 1000 people to buy from you over the next few years? I think so. Obviously, there’s a lot that goes into creating a business based on these models — getting traffic, building an audience, launching a product etc. — but it’s all completely doable. Plus you can automate your online business so once you frontload the work, the business keeps paying you again and again, even while you sleep. Over the years, I’ve shown thousands of students how to build businesses just like that. Click here to see some examples of the businesses they’ve built. Bonus: If you just can’t wait to get started for yourself check out my Ultimate Guide to Starting an Online Business. Every great business begins with a profitable idea. After creating 18+ successful products of our own, we’ve developed a system that guarantees your business idea will pay. If you’d like to see the system we’ve built — or if you just want to put your existing idea to the test — enter your name and email below. When you do, I’ll send you a free video that shows you how to find a profitable business idea in less than a week. Send me the free video on finding a profitable business idea!